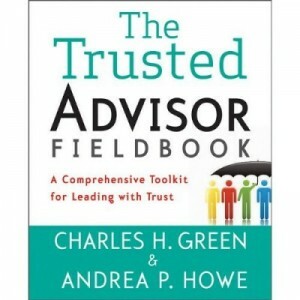 When we’re working or dealing with other people face-to-face, we send and receive all kinds of clues and indicators that help us assess trustworthiness, and by which we can show others they can trust us. Casual interactions, tone of voice and body language, small daily experiences all contribute to building trust. Face to face is high-bandwidth trust time. This all changes, however, when we’re part of teams or work groups scattered across the globe – virtual teams (real people, real teams, but working together virtually instead of sitting in a conference room to brainstorm or peering over the cubicle walls to ask a question.) And with so much of the world now working in virtual teams building trust among the members of a team who don’t look one another in the eye or share coffee every morning is a challenge. When we work in virtual teams, it’s all too easy to forget that we are in fact working with real people who just happen to be 15—or 15,000—miles away, and trust in the relationship takes a beating. Yet trust is paramount to collaboration, to getting things done, and to relying on those who we don’t see every day and can’t look in the eye. If we can maintain some of those high-bandwidth characteristics, we all benefit immeasurably. Casual readers of this column know that our way of thinking about building trust revolves around the Trust Equation, and the associated Trust Quotient Assessment which break down trust-building into the four components of Credibility, Reliability, Intimacy and Self-Orientation. CREDIBILITY: When the virtual team is first assembled, go beyond the usual jargon-laden introductions [“I’m Jane Smith, a SR PM in the RV Division.”] and ask each team member to say something about what they bring to the group, and what they hope the project outcomes will be. We believe in people whom we know something about; if all we know are resume headlines, we don’t assign them great credibility. RELIABILITY: Every time you turn in a piece of work, refer back to the master schedule and how your piece relates. If there isn’t a master schedule, take the responsibility of creating one. Despite the truism that trust takes time, this is the only component of trust that truly does require multiple experiences; this is how you create them. INTIMACY: When someone starts a call with: “So, how was everyone’s weekend?” really share something: “We had so much fun; my 5 year old daughter is playing T-ball and the girls were hilarious whacking at the ball and running around the bases.” We trust those who are willing to take the small risk of revealing something about themselves; encourage it, especially by role-modeling it. SELF-ORIENTATION: On a conference call with the group, stop multi-tasking, no matter how tempting, and really listen as each person speaks. Don’t do email, turn off the cell phone, face a non-moving vista. Do whatever it is that you do to actually pay attention. Key research in this area has been done by Onpoint Consulting, and we earlier talked about some of the six competencies and 24 behaviors they found in the most effective dispersed teams and leaders. We’ve teamed up with Onpoint to invite you to a free webinar on November 1 at 12:00PM ET, 9:00AM PT where Charlie Green, CEO of Trusted Advisor Associates LLC and Rick Lepsinger, President of Onpoint Consulting and co-author of the new book Virtual Team Success will talk in depth about trust and virtual teams. 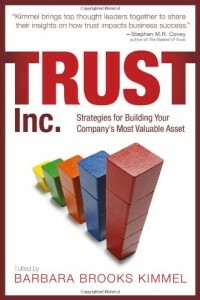 Employee trust is usually measured by employee retention. Turns out, that is wildly out of date.